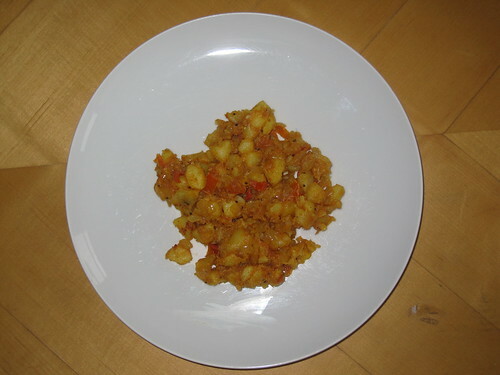 I am sending this recipe to Dil Se's Veggie/Fruit of the month : Potato started by Priya. Boil it with salt and turmeric powder. Heat oil in pan and roast the boiled potatoes. Heat oil in pan and add mustard,urad dal and onion. Fry well and add tomato till it become gravy. Add Chilli powder, turmeric powder, garam masala and ginger garlic paste. Fry them well and add fried potatoes and salt. 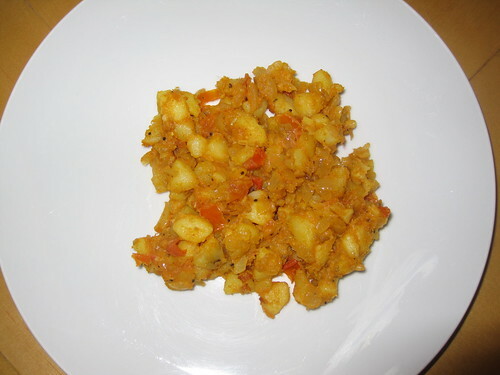 Now, potato masala is ready. This Potato Roast can be served with meals. This South Indian Recipe can also be served with chappatis.